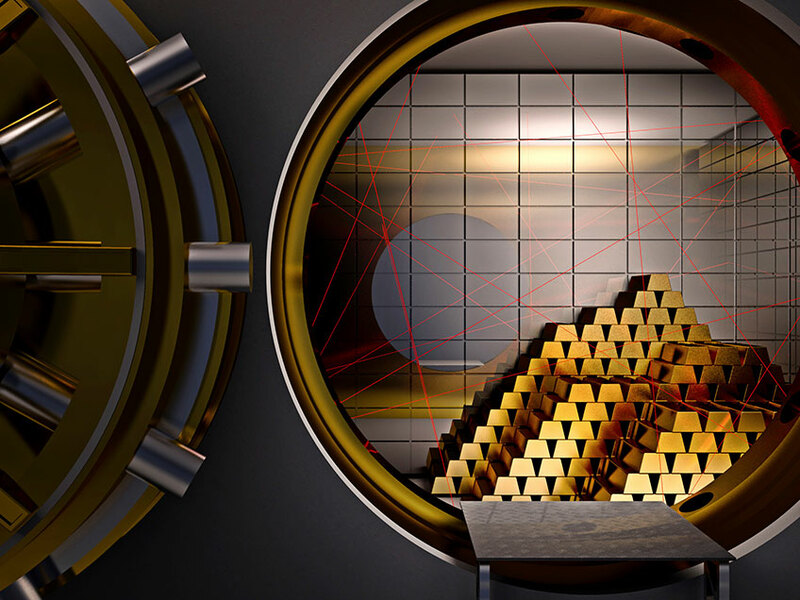 When it comes to storing your gold bullion, there are several different options. You can choose which option is best for you based on your preferences and circumstances. Some people want to keep their gold bullion at home so that it’s always accessible. Others want to be sure, after they buy gold, that it is safely stored in a vault at a bank. Only you can decide which option is the best for you. For many small gold investors this is the best option. You can store gold-bullion coins and small gold bars at home in a safe. You will probably need to spend a couple of hundred dollars on a high-quality fireproof safe. But that will be the only expense if you keep your gold at home. However, if you are planning on buying gold bullion regularly or buying a lot of gold coins and bars, storing gold at home may not be a good option. You would need to have a very large safe or several different safes if you want to store a lot of gold bullion. For large investors, renting a space in a storage facility or renting a safe-deposit box is probably a better option. Safe deposit boxes can be rented from a bank. You can rent large or small boxes, and the cost is minimal. The biggest advantage of renting a safe-deposit box to store gold coins and bars is that your gold is protected by the same high-end security systems and security guards who keep the bank’s money safe. The biggest disadvantage of renting a safe-deposit box is limited access. Many banks only allow access to the safe-deposit boxes during normal banking hours. If you ever need to get to your gold coins and bars in a hurry you may be out of luck if you are storing them in a safe-deposit box. There are storage facilities that are designed to store precious metals like gold bullion. These storage facilities have state-of-the-art security and fireproof storage areas for your investment gold. They also usually have sophisticated access systems, which can help keep your gold safe. Storage facilities for gold bullion usually cost only slightly more than safe-deposit boxes. The biggest advantage that a storage facility offers is space. You can start with a small amount of gold bullion and expand your collection without worrying about running out of room. If you want to store your gold and keep it safe for the future, renting space in a storage facility is probably the best choice for you. No matter which type of gold-bullion storage you decide to use, the best way to keep your gold coins and bars safe is to keep them secret. Don’t tell anyone how much gold you have or where it is kept if you want to keep your investment safe.